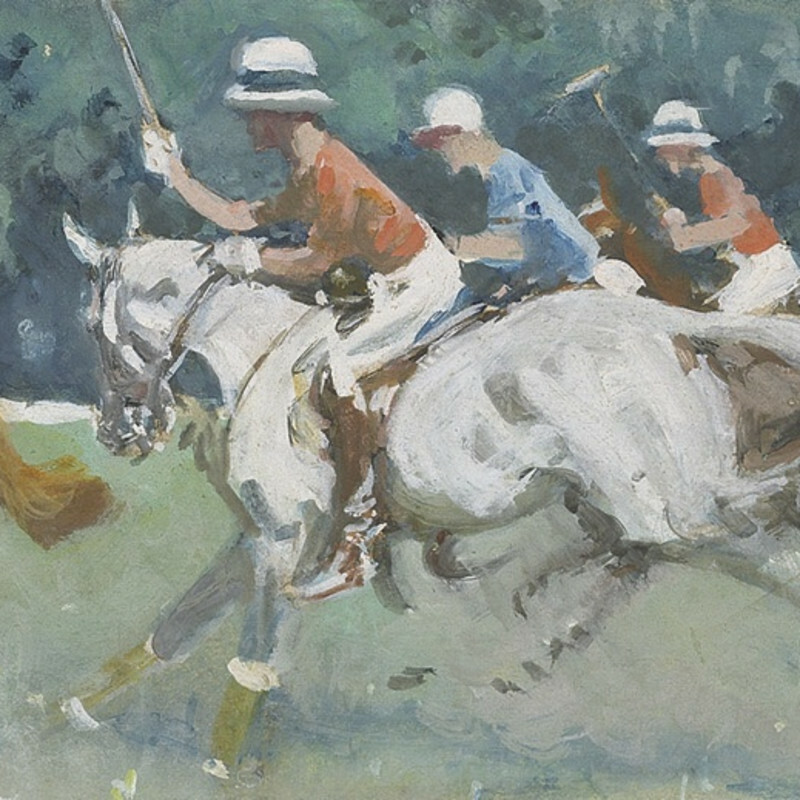 Gilbert Holiday was operational during the resurgence of British sporting art in the early twentieth century. A contemporary of Cecil Aldin (1870–1935), C. J. Payne 'Snaffles' (1884–1967), Sir Alfred Munnings (1878–1959) and Lionel Edwards (1878–1966), he painted all manner of equestrian subjects, including hunting, racing and polo scenes. After studying at the Royal Academy, Holiday began working as an illustrator for publications such as the Graphic, the Tatler and the Illustrated London News. When war was declared in 1914 he continued to work for the Graphic as a war artist before joining the army and serving as gunner in the Royal Field Artillery on the Western Front. His artistic talents were soon spotted and he was made a Reconnaissance Officer. Amongst other things he was assigned with, at high risk, sketching enemy positions in No Man's Land. It was during this time, often having to work quickly, he developed a certain fluidity and spontaneity to his style. His painting continued in this manner after the war and was particularly suited to his interest in the equine subject. He visited major race meetings such as the Grand National and the Derby to find inspiration.